Located in the heart of Bangalore, Hotel T.A.P Gold Crest enjoys proximity to a number of tourist attractions like Lalbagh Botanical Garden and Tipu Sultan's Summer Palace. 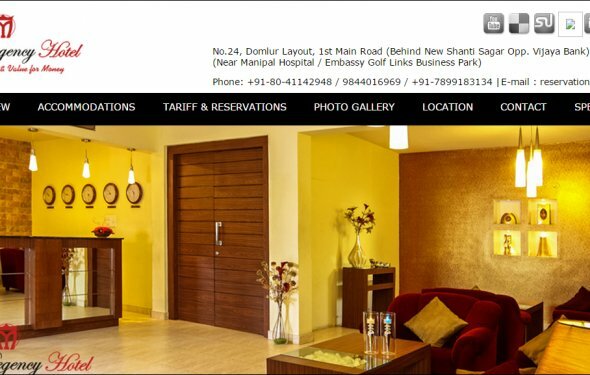 Just a short drive from the railway station, this 3 star property offers 74 rooms, which are divided into Diamond Suite, Platinum Class AC, Gold Class AC and Silver Class categories. These rooms are facilitated with amenities like Wi-Fi, mini refrigerator, LCD TV, electronic safe and tea/coffee maker. Being the gateway to major commercial hubs of Bangalore, such as Electronics City, Kormangala, JP Nagar and Jayanagar, Hotel T.A.P Gold Crest is a favourite haunt of business travellers. For their convenience, the hotel maintains a well-fitted business centre and offers foreign exchange service. After a strenuous day, guests can enjoy indoor games like billiards and table tennis at the on-site facility. Travel assistance is also provided by the hotel for its valued guests. The in-house restaurant serves Indian and foreign delicacies on its menu. Guests must visit the much-acclaimed Tipu Sultan's Summer Palace, which is located within a walking distance from the hotel.